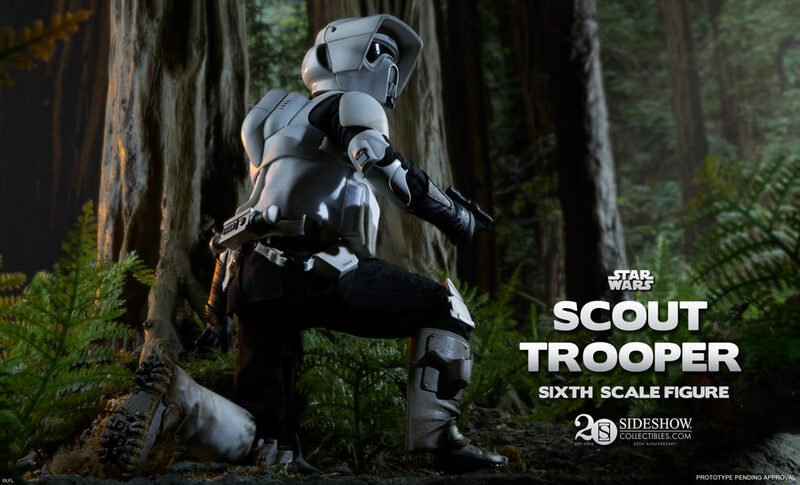 Fans of Star Wars: Return of the Jedi will be excited to see the Scout Trooper Sixth Scale Figure is on the way! Pre-Orders for this loyal soldier of the Empire in Star Wars will begin on Thursday, September 18, 2014! Of course, what’s a Scout Trooper without his metal steed? Not to worry, because the Speeder Bike will also be available for Pre-Order on the same day!